I’m trying out to a mostly natural and extensive skincare routine and so far this is what I came up with. I can say that I am combination skin type with oily t-zone and dry cheek and jaw area. I had few breakouts growing up, mostly on my forehead and back while my legs and arms are extremely dry. It was like that until my late college years. Through the years I feel like my skin became more and more textured. I feel like I have visible pores. When I was in gradeschool to early highschool, around 11-13 years old, I started having breakouts on my forehead. Aside from being genetically predisposed to it, having bangs and the heat and pollution here in the Philippines added to it. Not to mention going through puberty when hormones are going haywire. I started using a gentle cleanser from Clean and Clear. This helped my pimples to calm down but they do come up once in a while. I’m also thankful that it didn’t leave pimple marks. 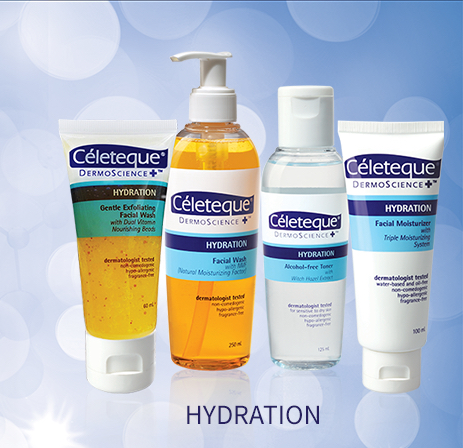 This turned my face dryer which is why I switched to Celeteque’s Hydration line. I also commuted and went out more so I needed a good toner to keep my face clean. This worked for me for a while but when my face got used to it, I returned to being dry. I barely use make up at this point so I think it’s just that my skin got used to it. This is when I tried to experiment with things but I was still on a budget until I came up with my current routine. I have my regular and pamper day products and I will discuss both. Before this, I just used regular wet wipes to remove my makeup but removing mascara is way too hard. How I use it: I put a few drops on a cotton pad and wipe it across my face. I do this twice or thrice depending on how much makeup I wore that day. I’m just on my first bottle but I’m loving this product. I think I was using celeteque hydrating facial wash before this. 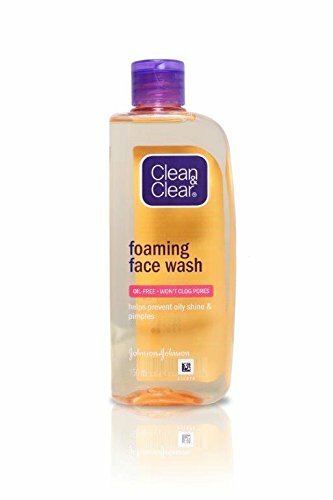 I like this facial wash since it does not leave my skin feeling tight after washing but I still feel that my skin is cleansed. How I use it: I wet my face and put a button sized amount on my palms before lathering it on my face before I rinse it off with tap water. This toner did wonders to my skin. It didn’t actually close my pores or anything but it decreased unnecessary oil production. It also kept my face clean. There were less whiteheads also. Purging did not happen. It always leave my face clean without stripping off moisture. This is a wash off mask that promises to deep clean. This does the job but it leaves the skin a bit dry. I paired this with other origins products. This is a new favorite. It’s an all natural product that doubles as a scrub. Use it dry as a mask and wet as a scrub. I like it because it’s not that abrasive. This lifts off any dirt on my face even white heads. Sometimes you just need to wipe it off using a towel but most of the time I pair this with a peel off mask to deep clean my pores. This is my preferred brand to match humanheartnature’s mask+scrub. This can be used alone also. I suggest you use iWhite pore purifying balm that comes with it for it to work well. This leaves my skin clean and a bit smoother. The world’s best clay mask. I use this with Braggs apple cider vinegar instead of water. You just have to get past the smell but this works well. It deep cleans the face and leaves skin smooth. Unlike the humanheartnature, I use this alone since it literally strips away the moisture on my face (I feel cemented everytime I use this). Don’t forget to moisturize after using this. I have yet to find the best serum but as of now, I’m using ejulai propolis. This leaves my skin supple and soft everytime I use it. I vary sheet masks from time to time. I like the moisturizing, calming and brightening variants. I prefer buying from the face shop but innisfree masks are also great. Currently using humanheartnature’s day and night moisturizer. I tried to switch to all natural products and this does the job. This leaves my skin moisturized and the scent is subtle so it doesn’t bother me. 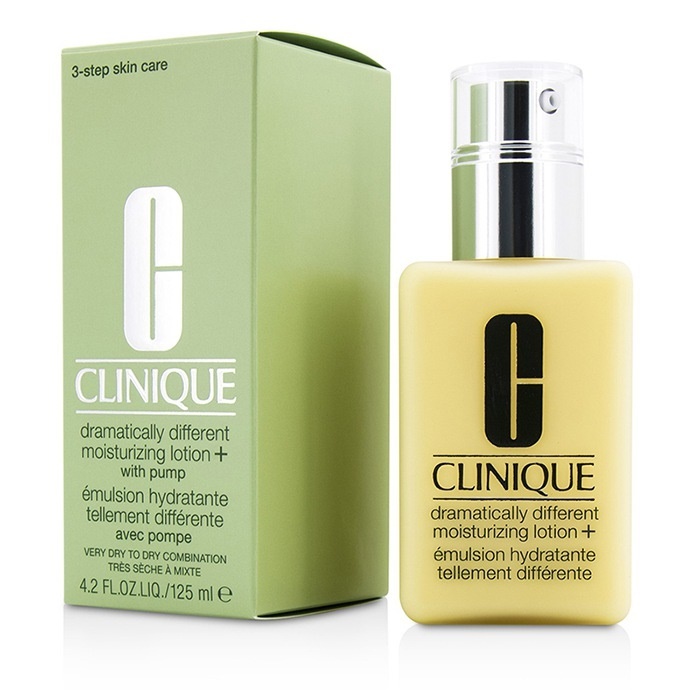 When I really want to pamper myself, I use Clinique’s dramatically different lotion. I also use this when my skin is extremely dry. I’m currently alternating between two sunblocks. One is Happy Skin’s Catch the Sun SPF 40 PA+++ while the other one is Belo Beauty’s tinted sunscreen. I personally prefer Happy Skin’s sunblock because I feel that this is easily absorbed by the skin and it doesn’t cause white heads. It also layers beautifully under makeup although I don’t use this as a primer (because it’s a sunblock not a primer). It’s lightweight and I feel that it’s a bit moisturizing. I sometimes use this on my body too. On the other hand, when I have to have a little bit of coverage while having sun protection, I use Belo’s tinted sunscreen. I just make sure I exfoliate or even mask afterwards since I feel that the tint clogs up my pores. I use Humanheartnature’s lavender mint soap in which I have a review on. Click here. I use St Ives Apricot both on my face and body. I sometimes alternate this with the Humanheartnature’s detoxifying mask+scrub, the one that I discussed earlier. I like that it’s not too fine and it’s not too rough and both of them leaves my skin feeling smoother afterwards. I exfoliate once or twice a week. This is my holy grail. I don’t like the additional step of going out of the shower and putting on sticky lotion. I hate the sticky feeling that comes with regular lotion so for something that I could rinse off the slimy feeling away, I highly recommend this product. Continued use improves skin’s appearance. It really moisturizes the skin. Currently loving the condition of my skin. I rarely have pimples and I can comfortably go outside without makeup. Going more natural really helped my skin.